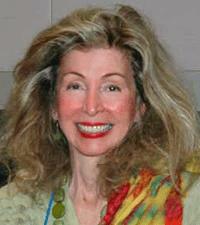 Judge Janice Law has been a member of the Writers’ League for eleven years. She lives in Houston, TX. JL: As a veteran journalist and attorney, I challenged myself to write a book in all major genres. Since 2005 I have written investigative true crime, diarist, children’s, thriller and historical fiction, autobiography, and biography. JL: An old-fashioned ice cream soda with the twenty very talented women and three men who wrote and edited the incomparable original Nancy Drew mystery series under the pseudonym Carolyn Keene. Nancy Drew is the informal mascot of the three-year old museum I founded in Washington D.C., The American Women Writers National Museum, to honor America’s premier women writers. Nancy Drew inspired generations of women, and her derring-do, intelligence, and independent spirit continue to inspire today. JL: “How to Make a Mobile Communication Device from Coconuts, Shells and Palm Fronds” with detailed diagrams and a tool kit attached. JL: The strong leadership of Becka Oliver, the well-organized and helpful annual Agents & Editors Conference and the multitude of practical seminars offered throughout the year. I appreciate the emphasis on having some meetings in cities other than Austin. Although one does not “learn” joy, I experienced true joy when my 2006 book was a 2007 nonfiction finalist for the Writers’ League of Texas Book Award. The peer recognition was the thrill of a lifetime. JL: Continuing to publicize the six books I have already written. Some new authors expect that after they write a book, crowds will form automatically to purchase their books. To the contrary, with each new book, one must commit to Herculean publicity schedule. As for my museum, which now meets in rental space at the national press club where I am a member, I continue to work toward a future of a permanent space. JL: My just released sixth book, American Evita: Lurleen Wallace, is a biography of Alabama’s Lurleen Wallace, America’s third woman governor (1967-68), whose extraordinary life I weave with the life of Evita Peron of Argentina. Both were women in their time, but not of their time. Neither one graduated high school but in a mere six years, they both managed to eclipse the suns of the steely eyed more educated, more prominent men of political convenience they married. Both of their husbands concealed from them the identical medical diagnosis which caused their deaths. Public admiration of a black leader from the wife of an avowed segregationist was unimaginable in 1968 America. But it did happen.